This article was originally published in the American Chamber of Commerce in Shanghai’s Insight Journal. Chinese celebrities pulled out of the show and ended partnerships with the brand, and D&G was forced to cancel the event just hours before it was due to begin. As the backlash grew, some of China’s biggest online retailers, including Alibaba and JD.com, suspended sales of D&G products, and an active boycott remains in place today. This incident demonstrates China’s ability to set its own conditions of engagement with the biggest brands of the West. Most importantly, what D&G faced was a potent new “geo-commercial” crisis that occurs when companies become entangled in national political agendas. In D&G’s case, the crisis was triggered by an upsurge of nationalism related to the ‘China Dream’ ideals of President Xi. China is not alone in dreaming of national rejuvenation. Nationalism is on the rise globally. Over the last few years, the popularity of ideas such as “Brexit” and “America First” have signaled that many people and countries are increasingly thinking and looking inwards rather than globally. The dislocation of wealth and people around the world produced by globalization has caused growing distrust in multilateralism and a resurgence of populism. The trend coincides with new strategic competition between the West, led by the U.S., and the Rest, arguably led by China. With both sides using nationalism to strengthen domestic political control, businesses face serious risks, and many have already fallen victim to related geo-commercial crises. Against this backdrop, foreign multinationals need new guidelines to manage crises in China’s new era. This article explores various strategies businesses can adopt to navigate geo-political and geo-economical complexities. It provides real-life case studies of foreign multinationals that have recently experienced such crises in China. The first step is for businesses to understand what a geo-commercial crisis in China looks like. The emergence of geo-commercial crises in China is the result of a heightened notion of Chinese nationalism that is centered on territorial integrity and absolute sovereignty. Over the past few years, it has become apparent that the Chinese government is less tolerant of multinational companies whose activities do not reflect its political agenda, particularly regarding territorial integrity and sovereignty. For example, last March, the government ordered foreign airlines operating in China to “correct” their descriptions of Hong Kong, Taiwan and Macau on their websites to reflect the “One China” principle. Some companies that came under attack due to this heightened notion of Chinese nationalism were innocent. Beijing’s more aggressive foreign policy approach has produced a rigid patriotism that is effectively disseminated by Chinese media. This campaign has been particularly successful in influencing Chinese netizens, who are now the “frontline soldiers” inspecting every move foreign multinationals make that is related to China, from website content to product labels. An example is the Taiwanese bakery 85°C, which faced a Chinese consumer boycott after a branch in the U.S. presented a gift to the Taiwan leader Tsai Ing-wen when she visited the store. This boycott caused the share price of 85°C’s parent company to drop 7.5%. While the gesture may have been innocent, against the backdrop of the increasingly troubled Beijing-Taiwan relationship, the company was caught in the crosshairs of a political struggle. When a crisis is initiated and driven by the Chinese government, it can hinder the company’s ability to survive in the market. A landmark case of this scenario is the severe backlash faced by South Korean retail giant Lotte following the deployment of the U.S. missile system THAAD in 2016, which ended in its exit from the China market. Beijing saw THAAD as a serious threat to China’s national security, as in addition to its stated purpose of deterring North Korea’s nuclear weapons, the detection system could also monitor China’s military activities. Thus, when Lotte agreed to provide a golf course in South Korea for THAAD’s construction, Beijing took immediate action. Multiple government agencies went after Lotte, fining the company over its advertising practices and closing over four-fifths of its Chinese supermarkets for alleged safety violations. Following this, Chinese consumers also boycotted the company. As a result of this geopolitical standoff, the company reportedly suffered successive quarterly losses of US$46 million. There are a number of universal and golden rules for crisis management – be transparent, respond quickly, put people first, be consistent in messaging, etc. This section focuses on suggestions that are uniquely important for companies that find themselves caught in geo-commercial crises in China. Apologize and demonstrate responsibility. Sometimes, companies caught in geo-commercial crises are innocent. Under such circumstances, many may question the justification of an apology, with the underlying logic that they should not apologize if they have done nothing wrong. But a track record of cases has proven that a sincere apology, in which a company assumes responsibility, is usually effective at toning down negative public discourse. Sincerity is key. D&G “apologized” several times during the crisis. The brand first said that its Instagram account was hacked when the photos of Gabbana’s private chat were leaked. Then, they retracted the apology video featuring Dolce and Gabbana, removing it from Instagram. These insincere “apologies” caused further backlash from Chinese netizens. Do not pick a side publicly when entangled in a geopolitical standoff. Most companies follow this rule when operations are smooth. 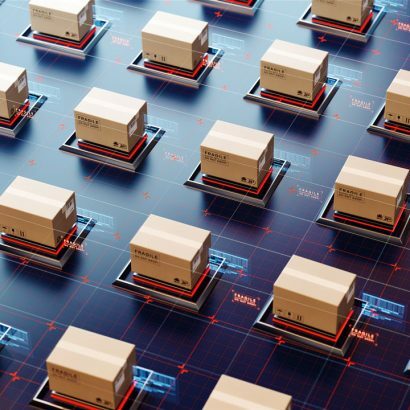 However, companies involved in a geo-commercial crisis tend to be eager to get themselves out of trouble and in turn are tempted to compromise by choosing a side. But assuming a political stance publicly always exposes businesses to greater risk . This is what damaged Lotte’s business in China. Another example is Apple. The company has been supportive of China and opposed Trump’s tariffs amid the ongoing U.S. – China trade war. This has caused reputational backlash in the U.S. Think outside-of-the-box when seeking solutions. Demonstrating responsibility does not mean giving in to every critical demand. Businesses should also look for alternative solutions to create a “win-win” situation. For example, some airlines have used city and airport codes on the website instead of region and country names to comply with Chinese government’s request and to avoid a backlash from markets outside of China. Post-crisis remediation is as important as appropriate management during the crisis. A crisis can offset a company’s positive image and create lasting reputational damage, especially a geo-commercial crisis. Many companies fail to take measures to recover and rebuild their reputation once the crisis is over. In Chinese, crisis is written as 危机 (wēi jī), which encompasses both danger and opportunity. Post-crisis is a unique time when the media and public may seem quiet, but are still paying close attention to the parties involved. This is an opportune moment for companies to leverage the spotlight to reshape their China stories into positive narratives. Many geo-commercial crises can be avoided if companies are more diligent in risk identification and prevention. Even in cases that cannot be entirely avoided, proper preventative measures can prepare companies for quick responses to crises. And risk prevention starts with internal alignment. Minesweeping. Companies should conduct rigorous inspections of all symbols that can reflect China’ sovereignty – including descriptions of the region, country and maps across all communication channels and products. Monitoring. Be alert to public sentiment and nationalist trends. Bridging. Geo-commercial crises can be strange to people who are unfamiliar with China. Training and briefings on culturally sensitive issues for internal stakeholders, including decision makers and spokespersons both in China and at home, is necessary to build cross-cultural bridges and ensure that staff can respond to all surprises. Finally, risk prevention can only be affected when there is a mechanism that allows for a quick and unified response. Define your “corporate foreign policy.” In the context of globalization, adopting a “corporate foreign policy” is increasingly necessary for multinationals. Amid new global geo-political and geo-economical complexities, it is crucial to carefully analyze a company’s values, business and external environment when defining its “foreign policy.” Not putting all eggs into one “market” can help avoid a backlash from the others. Craft your messaging. Craft messages and talking points that target different stakeholders based on the “foreign policy” decided to help guide communication during a crisis. Revise your crisis manual. Most foreign multinationals already have a crisis management manual for navigating traditional operational crises. It is time to add geo-commercial crises to the manual so that each internal function knows what to expect and how to cope if one occurs. 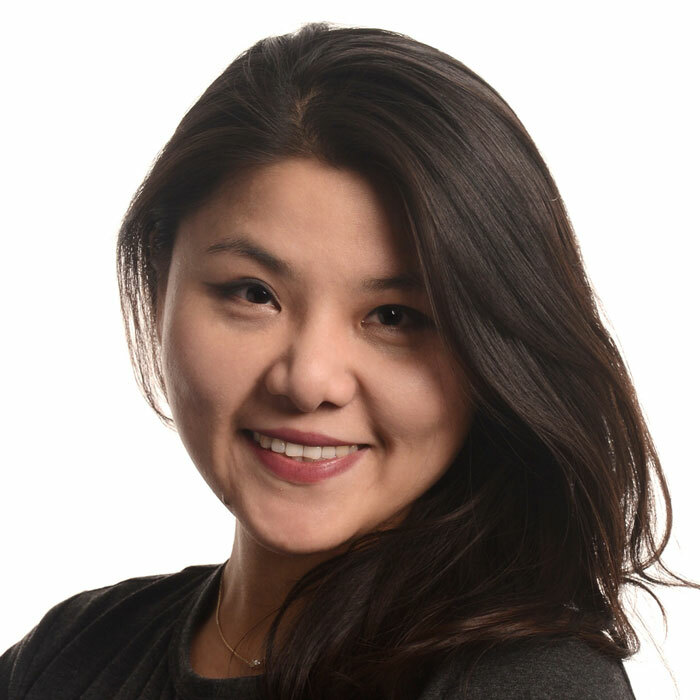 Jiayi Lu is an associate director at APCO Worldwide. She has extensive experience in public affairs, providing advisory services to clients on matters related to government relations, crisis management, business strategy and market entry. 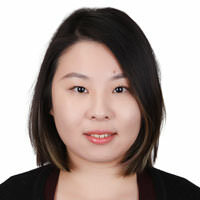 Freda Zhang is a project consultant at APCO Shanghai office specializing in government relations and strategic communications.